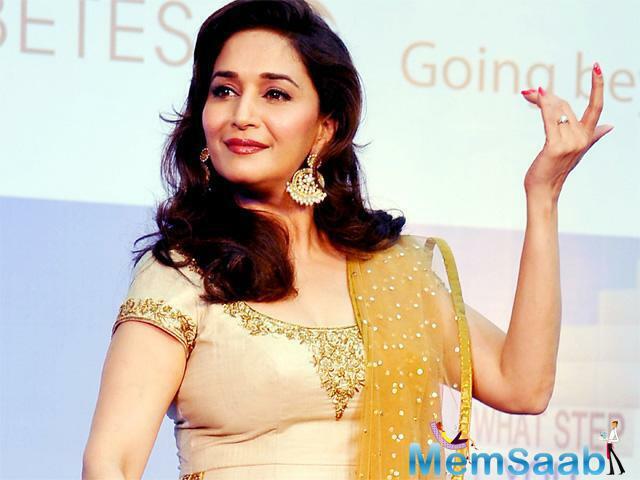 The Dhak Dhak Girl Madhuri Dixit's taught dance steps of the popular song "Tamma Tamma" to actors Alia Bhatt and Varun Dhawan. 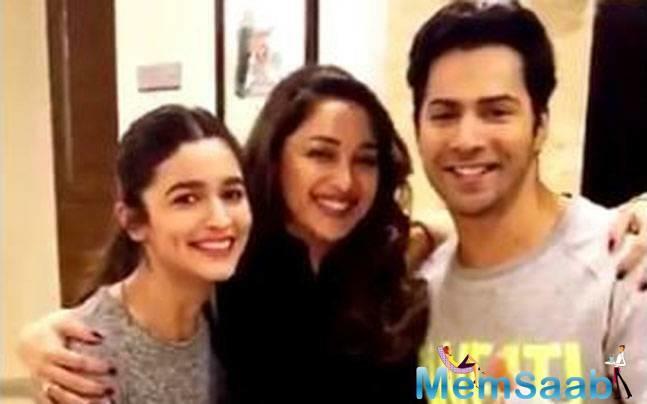 Varun and Alia are gearing up for the release of the recreated version of the song "Tamma Tamma" from the 1989 Madhuri-starrer "Thanedaar".The film scored well at the box office grossing 10.25 crore and was declared a superhit. The new version will feature in their forthcoming romantic comedy film "Badrinath Ki Dulhania".The flick which is being directed by Shashank Khaitan. 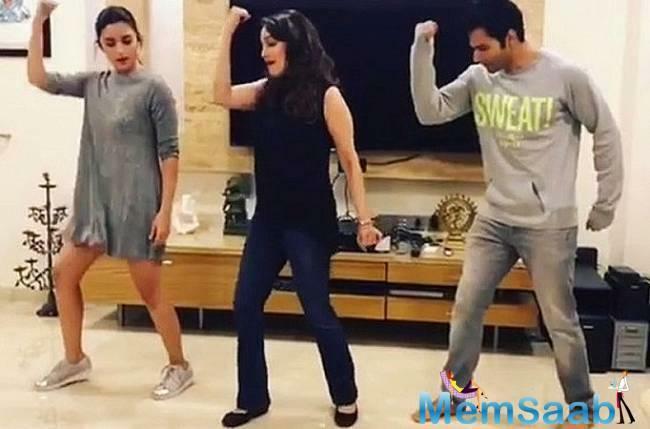 On Friday, Alia took to Twitter, where she shared a video of herself dancing with Varun to the song. 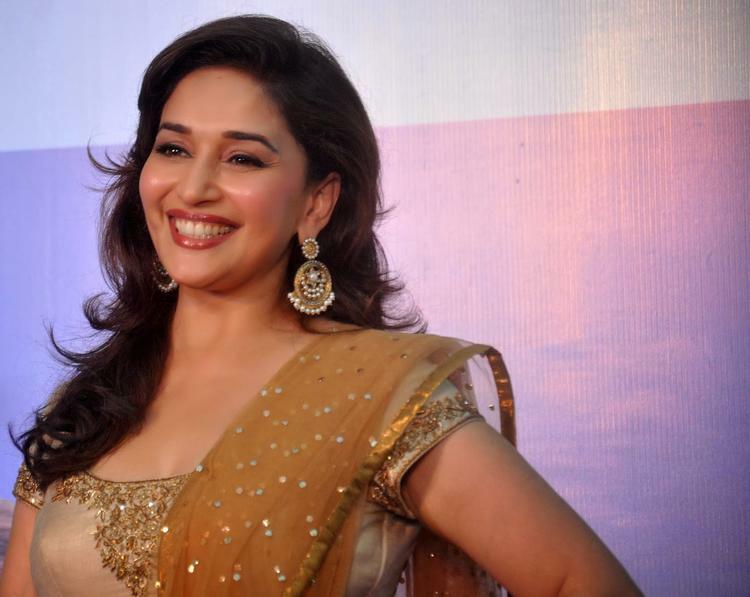 A few seconds later, Madhuri joins them and then teaches the dance steps to the costars. The actors previously worked together in Student of the Year and Humpty Sharma Ki Dulhania. 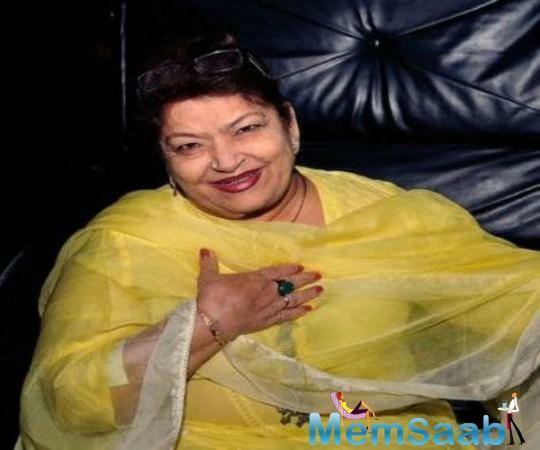 Badrinath Ki Dulhania will be the continuation of the first part 'Humpty Sharma Ki Dulhania'. "How to do this 'Tamma' step? 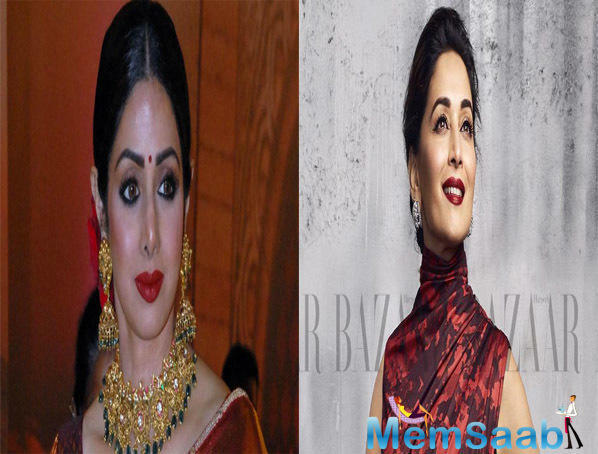 Thank you, Madhuri Dixit Nene for saving the day...Varun Dhawan. 'Tamma Tamma' again," Alia captioned the video. Badrinath Ki Dulhania will probably narrate the post-shaadi phase of Alia and Varun.Produced by Hiroo Yash Johar and Karan Johar under Dharma Productions and presented by Fox Star Studios. "Badrinath Ki Dulhania" is set to hit the silver screens on March 10. 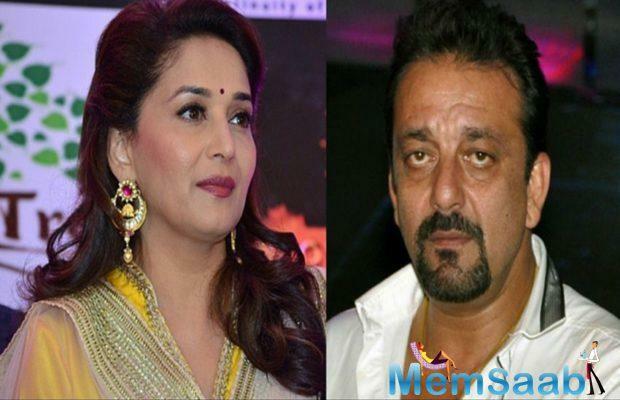 Madhuri Dixit in, Sanjay Dutt out?